The Seagate Backup Plus Hub is an external desktop hard drive with two front-facing USB 3.0 ports—which makes charging and managing other devices like phones, cameras, and tablets a snap. The drive is formatted for Windows computers, so simply install the provided NTFS driver for Mac to use the drive interchangeably between both systems. 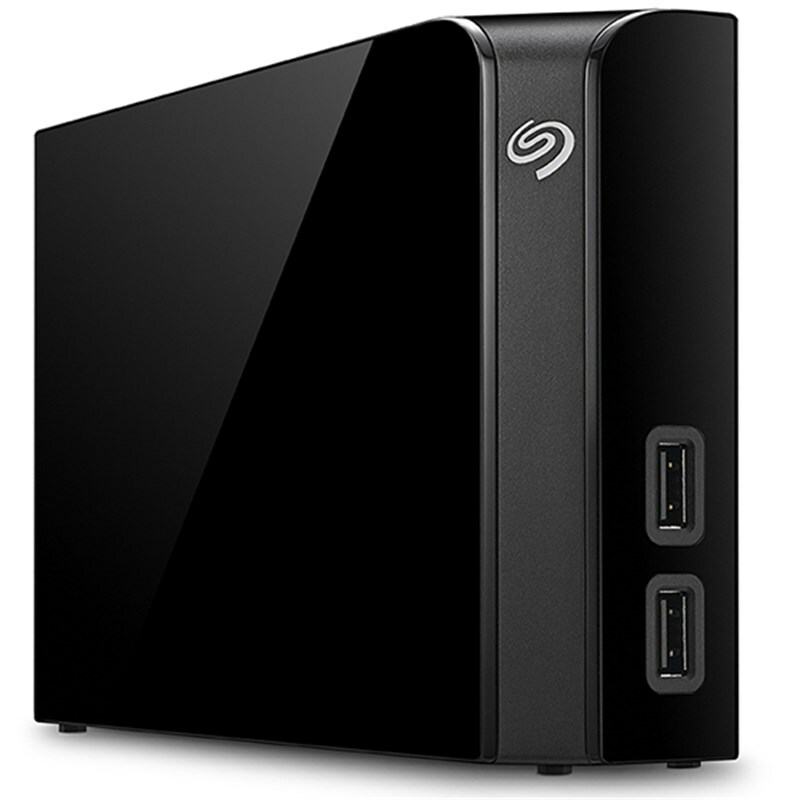 Downloadable Seagate Dashboard software enables one-click backup as well as scheduled, automatic backup plans.